The departement of the Alpes Maritimes - Pop. : 3.701 h.
On the coastal road (N98) between Nice et Menton. 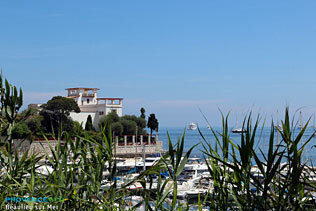 Situated 10 km from Nice and its international airport, Beaulieu is near the sea and covers an area of 95 ha. Nestled amongst abundant vegetation, Beaulieu means "beautiful place" in French, and it is aptly named. 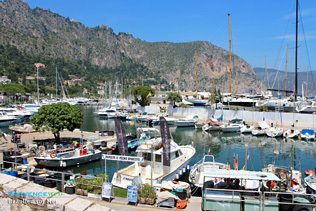 With its beaches bordered by palm trees, the superb light and warm temperatures for most of the year, Beaulieu is one of the most delightful spots on the Cote d'Azur. You can relax on the sandy beaches and soak up the sun or go swimming in the sea. If you prefer to be more active, you can go water ski-ing, jet ski-ing, wind surfing and boats can even be hired for tuna fishing trips. Don't miss a visit to the Greek villa of "Kerylos". This extravagant and faithful reproduction of a luxurious, antique Greek villa never fails to impress visitors by the beauty of its interior. Mosaics, marble, frescos and treasures from the 6th to the 10th century BC will transport you back to a long-forgotten ancient way of life during the time of the "Athenians". You will equally appreciate the villa's garden and superb view overlooking the sea. Frequented in the past by royalty and members of the aristocracy, Beaulieu today continues to be a high-class village in true Mediterranean style. 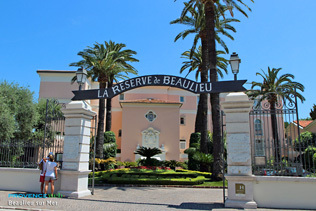 The luxurious properties, beautiful parks and gardens, as well as the extravagant limousines that you will come across in Beaulieu all remind you that this is the heart of the Cote d'Azur. You can wander around the pretty streets, admire the exclusive boutiques, stroll along the sea-side, while in the evening you can visit the casino, after dining at one of the excellent village restaurants. Greek villa of "Kerylos", constructed in the image of an antique Greek palace. 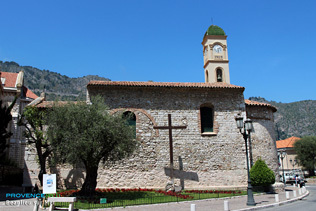 Santa Maria de Olivo chapel. 1899 Church. Marina. Yacht club. Water sports and sandy beaches. Tuna fishing, sea excursions. 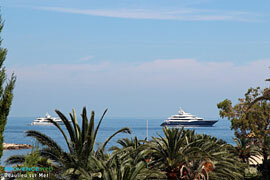 Villefranche sur Mer (4km), Eze (4 km), Le Cap d'Ail (11km).